I have started to prepare the build of the snow engine. After checking nearly all details, I will get all the “of the shell” parts without any problem. Now I am at the carburetor decision and I would like to know, if there is somebody who has used a “Jan Ridders Vapor Carburetor” together with the snow engine ? I would like to know, if this could be solution to run this engine. I tried Jan's vapor Carb a couple years ago on my Snow, but was never able to achieve a suitable low rpm run. first of all thank you very much for your postings. In the meantime I have been in contact also with Jan Ridders and his recommendation is to try it with an up scaled version of his drawing. For my project time schedule does it mean, that I have to decide the final carburetor in 12 month or more. 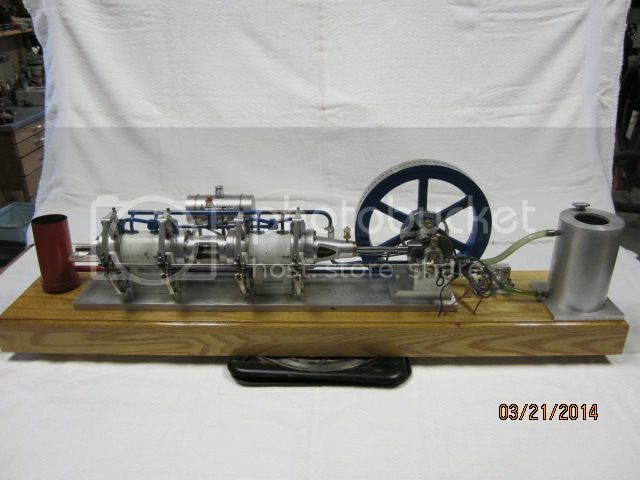 But may be Gary and Rebush will already have get until than some results from their experiments with the vapor carburetor on the snow engine. So thanks again for your comments. I have seen today, that my ordered 27mm piston rings are shipped and visible in the tracking Information. Also the gears are very close to arrive. Only Achim and his CAD work is not really on speed. Hi Gary, if this vapor carb was not so successful, if I may ask, what was your final solution to get it run at low RPM ? 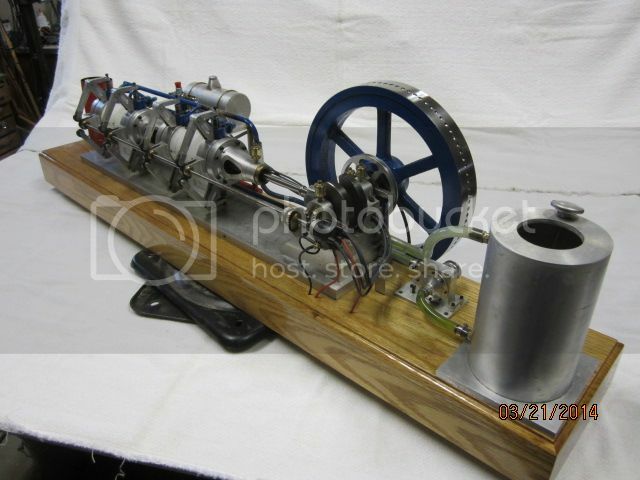 I used a carb off an OS Max 15 model airplane engine. I made a new barrel with a venturi diameter of .109 inch. It works very well. thanks for your information. It is very useful to know a configuration which is already proofed. May I ask, if you can show here some pictures of your snow engine ? I am out of town at present. Will when I return home. Hi Gary, that is great. Will wait. Here is a link to the snow pictures and a video of the first run. Enjoy. Hi Gary, thank you very much for sharing the pictures and the video. It sounds like a powerful runner. Perfect build, congratulations. This week I have got the piston rings and also the Boston gears arrived. The lip seals made from Viton, FPM are also located in 8x14x4 mm, what is very close to the original dimension, but for me with the advantage that I can use metric bar size for the piston rod. 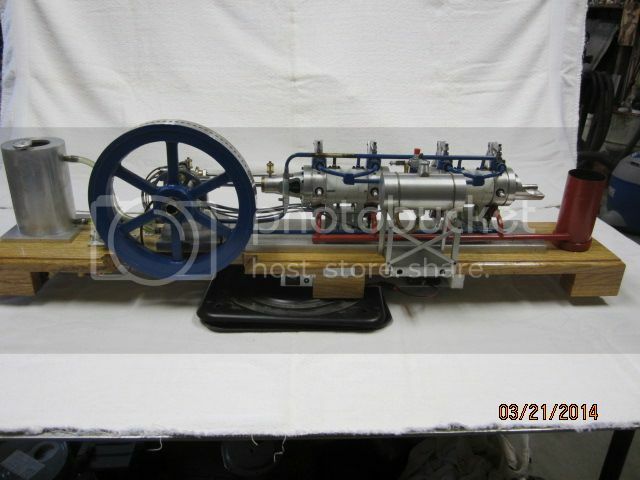 I am also in contact with Roy form S/S Machine and Engineering LLC for the ignition System and distributor. So beginning of next month everthing should be together I can go ahead with my working drawings. Wow, that is quite the design. A few of us have had running problems with the Snow engine. In my case, my engine ran very well when first started. It was my attempts at making my Snow project package "better" that messed it up for a long time. Gary is right about the carburetor throat size. Approximately .100" dia. works well. Even smaller would also work if you can find such a carb. The intake manifold is long and runs very cold when using a carburetor. This led me to believe that this is what caused many Snow engines to run poorly. One builder made a beautiful coolant heated manifold to address the cold manifold problem. It didn't help. My problems started when I changed from a transistor ignition, hot coil, and a 4 amp hr wet battery to a higher voltage CDI ignition with 4 AAA batteries. I did this to reduce the size of my clunky ignition system. I also made some carburetor changes at the same time. Always make one change at a time and test. The original Snow engine built by Doug Kelley always has, and still does run very well. 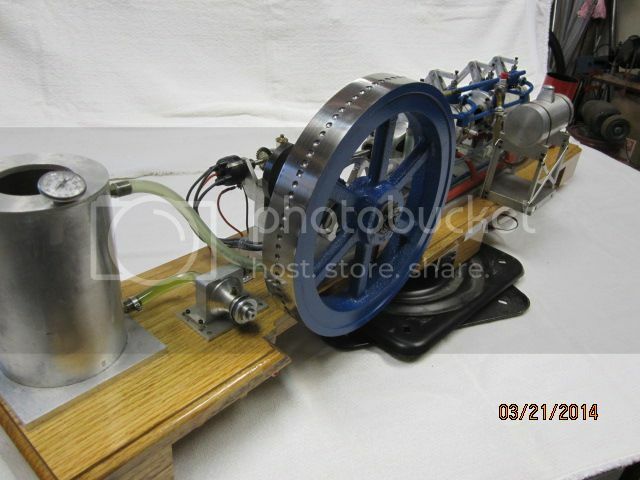 It uses an Enya 09 RC engine carburetor and a points type ignition system, large wet battery, and an automotive coil. It took me a year or so to finally convince myself that my previous ignition system change might have been a mistake. When I finally went back to using a TIM6 transistor ignition using the original points, a wide spark gap, and a hot coil the engine now runs well again. I have built carbs of different sizes and they all worked OK, but I prefer the Enya. The Snow is a long project and an impressive engine to watch run. I recommend that you build it according to Doug Kelley's drawings as closely as you can using all of his suggestions. If done to the plans it should run pretty well. 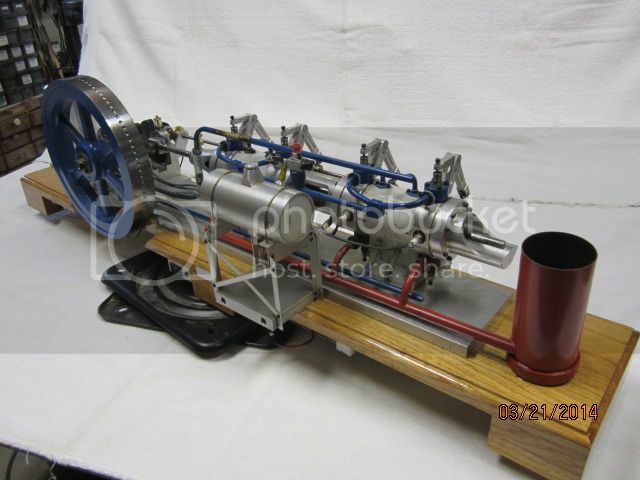 Only when the engine is running well would I try something different like the Ridders vapor carburetor. Good luck. Hi Jeff, thank you very much for taking the time to share all the results of your experiments. I appreciate that very much. That is the reason why I like this forum and the people in the group. There is a guy in the US ebay, selling new Enya 09 carburetors for a reasonable price and shipment cost Germany. Until now I have found only complete used engines in the European net, what could be an other risk, because you never know the complete story behind that item. So I will buy a brand new carb to minimise the "beginner mess". It is good to know, that there a proofed configurations available. A few builders purchased the Enya 09 carbs directly from Enya in Japan for about $28US each. Got them in about a week. The newer carbs have longer needles. I like the older Enya 09 carbs better with shorter needle valves. Bad Behavior has blocked 15161 access attempts in the last 7 days.